After our faces our hands are certainly the most expressive parts of the human body. In 18 Minutes we see details of people at a party, their hands frozen in the air as they eat, talk, drink, gesture, and caress. 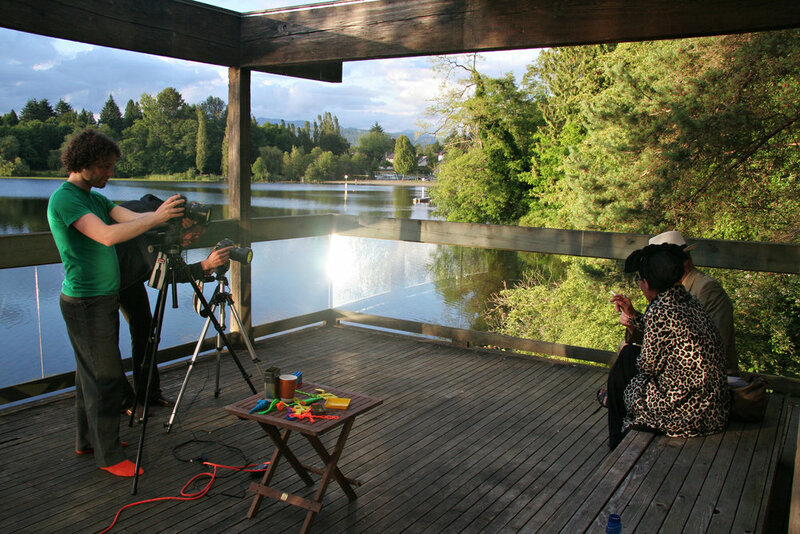 This project was produced on location at the Baldwin House on Deer Lake in Burnaby, British Columbia. The three-bedroom residence was designed by architect Arthur Erickson for Dr. William and Ruth Baldwin in 1963. A six-screen version of this project was acquired by the LEEUM Samsung Museum of Art in Seoul, South Korea in 2010. 18 Minutes, 6-channel HD video installation, 3 min 05s. Edition of 3. Installed at LEEUM Samsung Museum of Art, 2010. Production images on location at the Baldwin House, Burnaby, Canada. June, 2010.